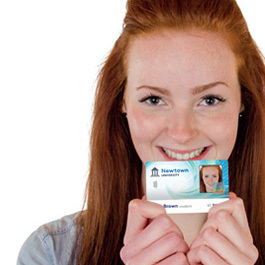 Essentra Security is looking forward to demonstrating their latest ID card and printing solutions for UK Universities at HESCA19. Essentra’s Education experts will be on hand to discuss how to set up your campus with an ID solution that will deliver visual security, access control, cashless vending, transport access & more. Learn how the latest developments in hardware and software technology can deliver a fully integrated solution for data management, creating, printing and issuing student cards. With a successful history of supplying Universities with student identity systems (20+ years), Essentra remains at the forefront in ID. Essentra Security is the market leader in providing card printers that offer features such as fast print speeds and superb print quality, meeting the demands of the education environment. Essentra Security is proud to support HESCA19 and look forward to a successful event in Bristol. In addition, we offer an extensive range of ID accessories to wear and protect ID cards, including badge holders, badge reels, clips and printed lanyards that can be fully personalised to represent your University. Follow our LinkedIn page for regular event news and updates here: Essentra Security on LinkedIn.